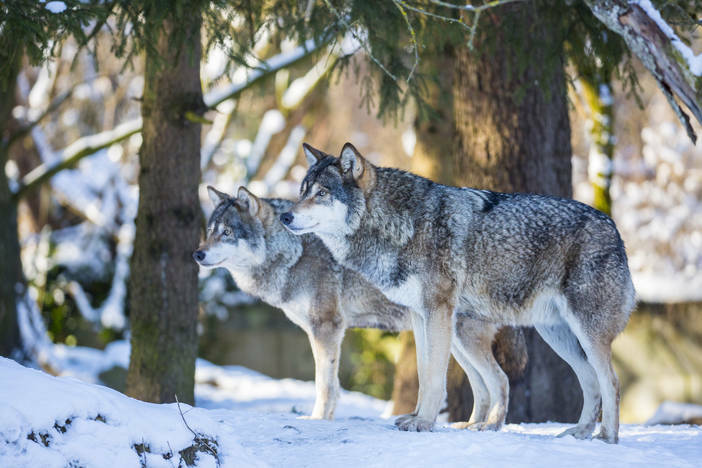 In winter, Hellabrunn Zoo is transformed into a Winter Wonderland where children and adults will be enchanted by domestic and exotic animals frolicking in the snow. And for those dreaming of a world away from the snow, the Jungle House offers plenty of adventure on a cold winter's day. 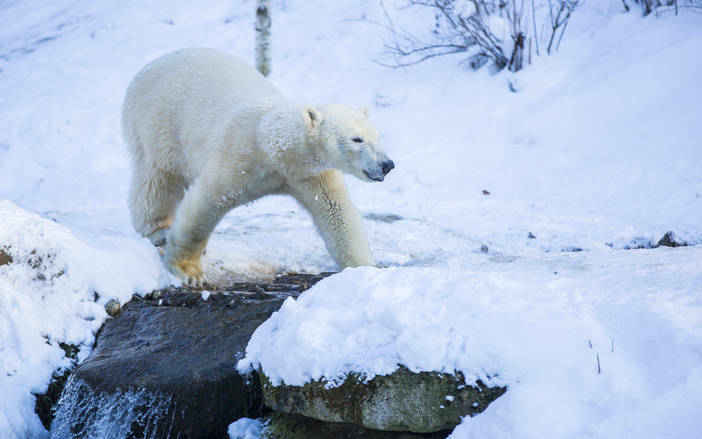 With so much of the magic of winter to experience in one place, Hellabrunn Zoo offers the perfect day out for families this winter. Find more info on the Zoo here. The atmosphere at Hellabrunn Zoo in winter is truly special. 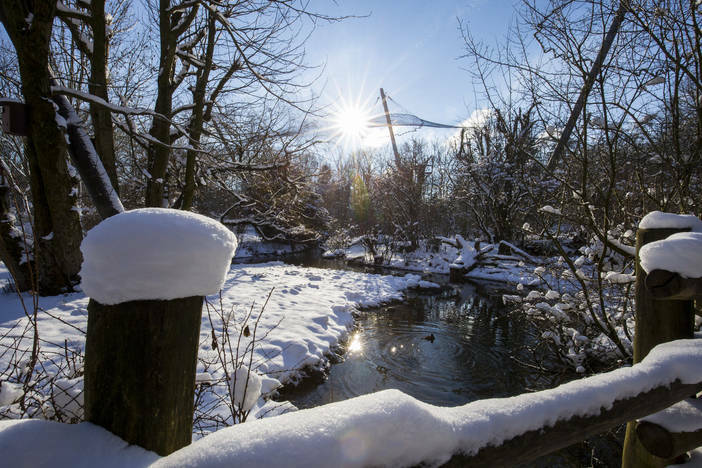 Snowflakes transform the 40-hectare nature reserve in Munich into an idyllic white paradise, where visitors can observe the animals in an entirely new setting: in one section of the zoo elephants play in the snow, while in another wolves roam across the white landscape. And in the Polar World the polar bears have snowball fights. 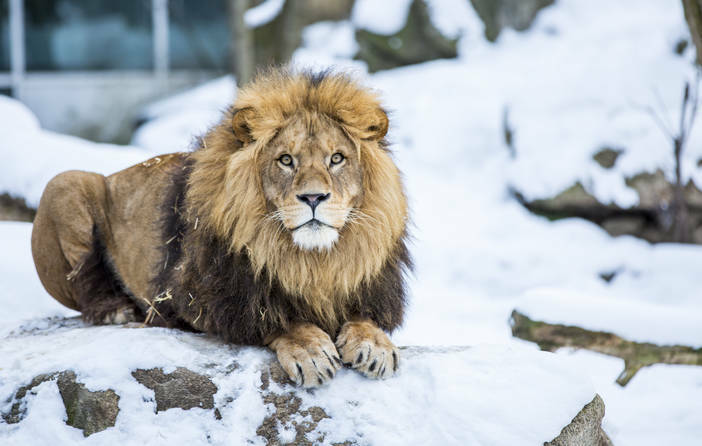 Zoo director Rasem Baban also enjoys winter time at the zoo: "Some of the animal living at Hellabrunn romp with glee in the snow, while others approach the cold wet surface with caution. Anyone who visits Hellabrunn in winter will be rewarded with the experience of witnessing something extraordinary." 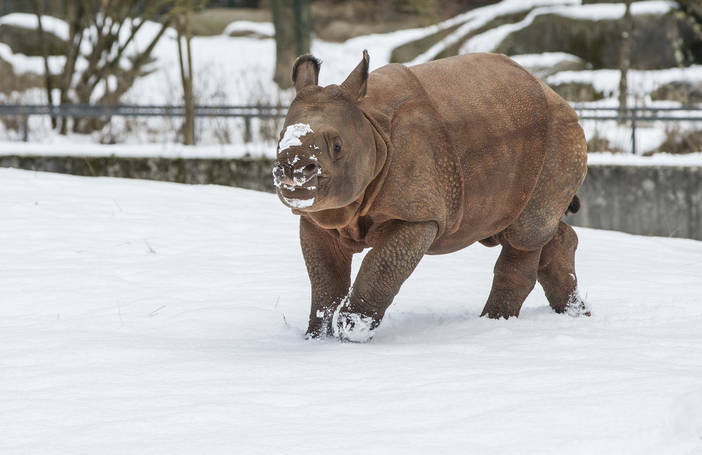 For Puri, the baby rhino, it will be his first experience of snow and ice. Despite this, the four-and-a-half-month-old calf shows no hesitation in rushing out into the snow. On the other hand, the Asian elephants Temi, Mangala, Panang and Steffi first nuzzle the fresh snow, then form white balls and test whether these also taste good. In the current sub-zero temperatures, the Asian elephants at Hellabrunn are allowed to venture out into their outdoor enclosure twice a day for about an hour. They are required to spend the rest of the day in their optimally heated stalls to ensure they do not catch a cold. The lions are allowed outdoors for a few hours at a time. Benny and Max are hardly affected by the cold as they are well-fed and equipped with a warm coat. While some of the animal residents such as the Bactrian camels, alpacas, wolves and wood bison have thick winter coats that ensure they are well protected against the cold, snow and wind, others such as the western lowland gorillas and orangutans enjoy the heat in the animal houses. Visitors who need a respite from the cold can warm themselves by stepping into the summery temperatures of the tropical animal houses such as the Rainforest House, the Jungle House or the Turtle House - and experience the holiday feeling!